Ever wondered how those muscular fitness models get shredded in just a few days? Here’s the answer. Xpel H2O is a fast-acting diuretic that can safely flush out the water that is stored below the skin, called subcutaneous water. By reducing the volume of your subcutaneous water, Xpel H2O triggers the skin to wrap more tightly around underlying muscularity. This will help make intricate muscle details literally pop out from beneath the skin, giving you a much more shredded appearance. While it’s a highly effective solution for eliminating your subcutaneous water, Xpel H2O is made from natural ingredients, including dandelion root, juniper and parsley. When you’re heading into a bodybuilding or fitness modelling contest, you don’t want to be carrying an extra 10 pounds of excess water that is stored in the skin, called subcutaneous water. Although water retention is perfectly natural, it can easily make you look soft and puffy. So, if your goal is to lose your excess water quickly, Xpel H2O’s combination of natural ingredients can make you look ripped and ready for the stage. Or it can be the little trick up your sleeve to help you fit into those jeans you want to wear this weekend. 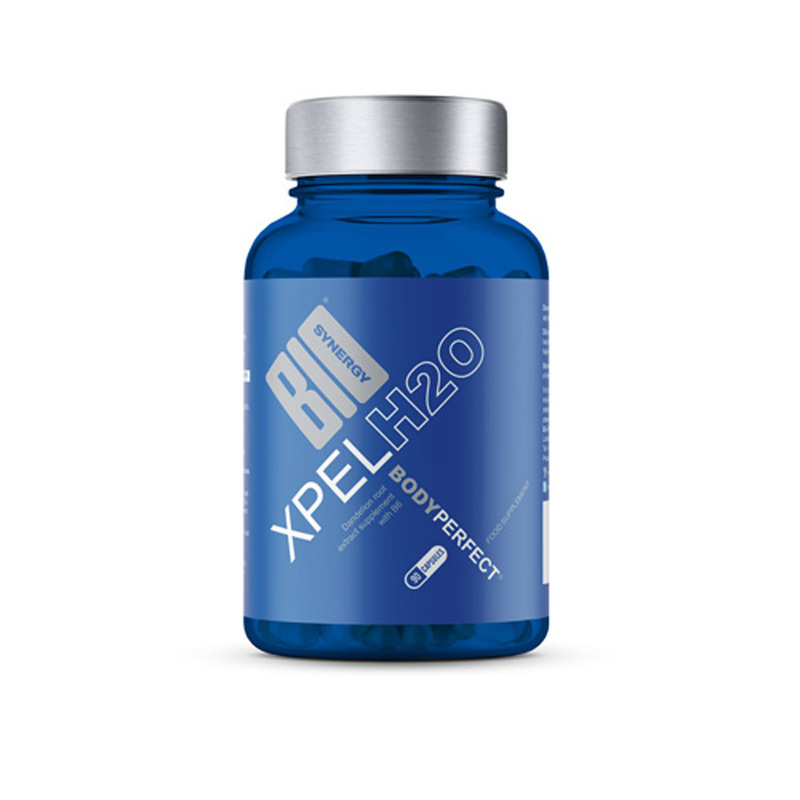 Made from dandelion root, juniper and other natural ingredients, Xpel H2O capsules are a safe diuretic for water extraction and help to bring out your vascularity and muscle definition for your sharpest physique. Xpel H2O® is made from dandelion root, juniper, potassium, parsley and other natural but effective ingredients. IS XPEL H2O® RIGHT FOR YOU? If you looking to lose temporary weight quickly and want to safely strip away subcutaneous water, then yes it is. It’s mostly used by athletes who are trying to get lean for a bodybuilding or fitness modelling contest. Xpel H2O® is developed to help you get stage-ready in time for your big day. We’ve got you covered with a wide range of other performance products, including Insanity, Activeman Thermolean®, Creatine Plus®, Creatine Boost®, Body Perfect® and BCAA Powder. What you put into your body matters to you, so it matters to us. As with all our products, Bio-Synergy Xpel H2O® is made from only the highest quality ingredients and is 100% natural. Bladderwrack, Potassium Citrate, Gelatin (Capsule Shell), Dandelion Root, Uva Ursi, Barberry, Juniper, Parsley, Magnesium Stearate, Pyridoxine Hydrochloride. For maximum results, take one to three capsules a day with water. Do not exceed recommended daily dose. "These have definitely helped my tummy look flatter but not really aided my weight loss. They do what they say which is reduce water retention. Kerry."